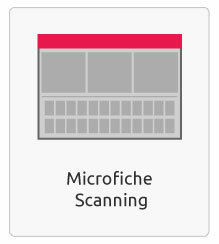 If you have microfiche, microfilm or aperture cards your first thought when you went searching for a solution to gain access to the contents of your film was probably to get a machine or a reader on which to view them; however, this is not the best choice when it comes to convenience and flexibility, not to mention cost. The price of a microfiche or microfilm reader or microfilm printer are usually far more extortionate than the actual need for it. 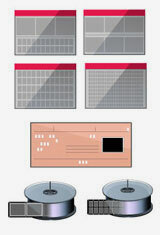 We can help you reduce cost and obtain the highest level of image quality for your files. We can collect film files from anywhere in the UK. 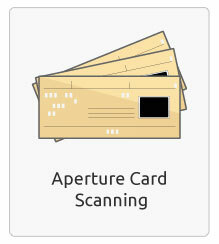 Our scanning bureau is equipped with the latest equipment to guarantee sharp and accurate images of your files. We have been helping companies to retrieve the information from their microfiche, microfilm and aperture cards for more than 10 years. The digitisation and conversion process is quite straight forward and our turnaround times are as little as 24 hours especially if there is an urgent requirement to have these files scanned and converted quickly. We will collect from your microfiche, microfilm and aperture cards with our safe collection service or you can post them to us. Our microfilm and microfiche scanning bureau will remove any fasteners, clips or staples from your fiche to guarantee a smooth scanning process. Firstly the micro-form is scanned in using our top end microfilm/microfiche scanners so the electronic documents can retain their original quality. Once we have scanned the images from them, we can then index or OCR process the digital copies. 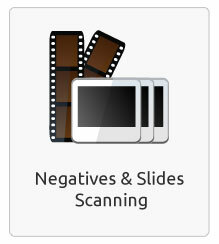 The scanned images can be converted into PDF, Word, TIFF, JPEG or any other digital file type that you prefer. 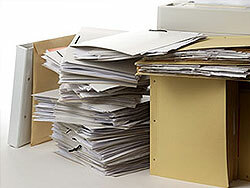 The originals can then be returned to you or disposed of with our secure shredding service. Documents and records can be kept safe and backed up electronically often in lots of different locations. Historic public records could even be uploaded online for the public to view which saves time on retrieving records at the office and helps to increase the outreach of the records to those who wouldn't usually have been able to view them. Once the images are scanned, the quality will be as high as the originals with all specific document details captured. These images are usually scanned in greyscale mode and in high resolution depending on the quality needed. 35mm microfiche and microfilm often contain large format drawings or newspapers but output would be to the same size as when they were originally transferred onto the film itself so there will be no loss in quality or size. 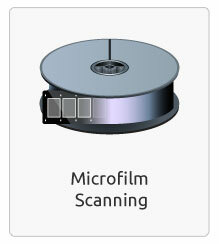 We have a range of articles related to microfilm scanning on our blog available for you to read. We are a UK based scanning company specializing in: Microfiche Scanning, Microfilm Scanning, Aperture Card Scanning, X-Ray Scanning, Negative Scanning, Photography Scanning and Slide Scanning. Our microfilm scanning bureau provides scanning services throughout Manchester, London, Liverpool, Leeds, Cardiff, Bristol, Newcastle, Glasgow, Edinburgh, Birmingham, Hull and the rest of the UK. We provide scanning services throughout the whole of England, Scotland, Wales, Ireland and the rest of Europe with fast & flexible collection services. We have the capacity to process millions of images per month. 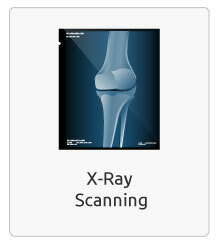 We are a scanning company with more than 10 years' of experience in the UK. Our scanning process is completed under strict supervision and we use the latest in image processing technology to guarantee the best results. Over time we have acquired the necessary ISO certifications that guarantees the quality of our work. 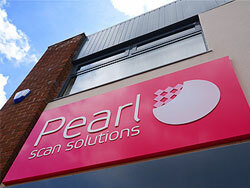 You can see a small number of well-known clients who have trusted us with their scanning projects above. Microfiche scanning and Microfilm scanning are a vital process for businesses, organisations and individuals alike. Film media including microfiche and microfilm, as well as more well-known media including film negatives are now increasingly more difficult to access and view in the digital age. We pride ourselves in offering high quality microfilm and microfiche scanning services. With the microfiche and microfilm scanning process, all of these documents are converted into digital files which can be stored on CDs, DVDs, on your local network or even securely online for easy access from any location. We can convert a variety of microfiche including 16 mm Microfiche, 35 mm Microfiche, COM Microfiche (Computer Output Microfiche) and COMBI (Combined) Microfiche. 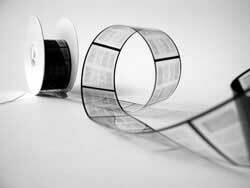 We can also convert microfilm from reels/rolls/spools and cartridges/cassettes. Aside from microfiche and microfilm scanning, we can also scan slides, negatives, aperture cards and old photos. We have been providing these services for the last decade, updating our scanning equipment on a yearly basis. With our ISO 9001:2000 accreditation we ensure that all of your data is kept confidential, safe and secure and that all of our conversion projects are completed to the very best quality. We also offer data capture, data entry, data transcription, document storage, secure shredding, document management software, cloud storage and many other document management services. We utilise the latest scanning and imaging technology in document scanners, flatbed scanners, film scanners, book scanners and automatic data capture software. Find out how we can help your company with microfilm scanning, microfiche scanning, aperture card scanning, X-Ray scanning, photo scanning, negative scanning and slide scanning. Read more about the UK's leading microfiche and microfilm scanning company. How Can I Scan My Microfilm?